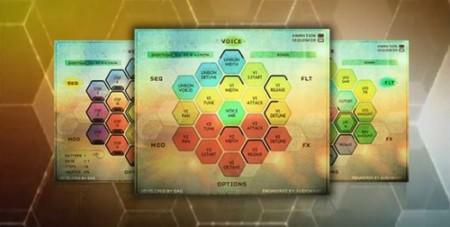 Retcon - Boards Of Canada Complete KONTAKT MAC | Free eBooks Download - EBOOKEE! Posted on 2016-09-10, updated at 2019-02-10, by manhneovn. More than just another sound library, Retcon is a uniquely designed virtual instrument that features a colour coded HEX layout giving you easy access to a wealth of controls. Designed specifically with ambient and synth music in mind. Retcon contains a host of powerful features built specifically for creating atmospheric, lofi, heavily modulated pads, leads, keys and plucks. The centrepiece of Retcon is its custom 16 step chord sequencer that offers unlimited inspiration with it's unique approach to creating music. Quickly build long evolving chord progressions up to 4 bars in length or program fast moving and otherwise impossible modern chord sequences. With numerous features including legato/retrigger, latch hold, auto fade and 16 unique patterns all switchable via MIDI keyswitches there is enough power and control to satisfy the needs of even the most demanding user. Retcon's feature set is split across six pages of 19 hexagon controls focusing on Voice, Filter, FX, Options, Modulation and Sequencer. Each page is carefully laid out and uses an easily identifiable colour scheme to make the experience intuitive and fast. No comments for "Retcon - Boards Of Canada Complete KONTAKT MAC".